What is zero-rating and why does South Africa need more of it? "Our education system needs help, and having access to Wikipedia would make a very positive difference. Just think of the boost it will give us as students and to the whole education system of South Africa." So ends a heartfelt petition launched in 2012 by students at Sinenjongo High School in Cape Town. It was addressed to the country's mobile carriers and pleaded for free access to Wikipedia. In 2014, MTN responded, adopting Wikipedia Zero, a service that gives free access to the online encyclopaedia. It's a practice called 'zero-rating.' The data that is used to access such a service does not count against that of the user's, and is, instead, supplied for free. It sounds like a great concept, especially in countries where bandwidth prices remain high. But it's also a controversial topic stirring a lot of debate. The most obvious line of hostility is held to be with network operators. When Facebook's Mark Zuckerberg took to the stage at the Mobile World Conference earlier this year to promote Internet.org, he was flanked by three network executives. Some commentators sought to read this as Internet.org, Facebook's zero-rated initiative, trying to create a picture of solidarity with networks that allegedly loathe the idea of zero-rated services syphoning their data revenues. But that's not quite accurate, says Dr Jeffrey Eisenach, a senior VP at NERA, who authored a report on the impact of zero-rating: "Generally speaking, adoption has been favourable, but attitudes do differ from country to country. It depends a lot on who is doing what." He raises the example of Canadian carriers that recently came to heads with the local regulator over zero-rating data for their own video-streaming services, even though Eisenach says the practice likely benefited consumers. In India, mobile giant Bharti Airtel is under scrutiny for Airtel Zero, which aims to allow developers to pay for zero-rated access to their services. In 2010 and 2012, Turkcell used limited zero-rated Wikipedia and Twitter deals as promotional tools for new signups. Debates around zero-rating cannot avoid net neutrality, the principle that access to the web should be equal to all. At face value, zero-rating clearly violates this, especially when networks allow third parties to pay for users to access their services for free. Many see this as a way of raising the access barrier. Simply put, those with cash can benefit from zero-rating. It's certainly a concern and one that still has to be digested by regulators. But it would appear that some regulators are already shooting from the hip, banning services without making proper cases for the action. Yet the net neutrality principle only really stands in developed economies with both high connectivity penetration and low data costs. In some developing economies, there is far less concern about anti-competitive behaviour. Instead, the impetus is on including more people into the digital society. The fear of creating 'walled gardens' has pressured Facebook's Internet.org to open the platform to third parties. Other services, such as Wikipedia Zero, note their non-profit status, thus being both zero-rated and in line with net neutrality ideals. This has encouraged many to distinguish between commercial and non-profit uses of zero-rating. These are reasons why zero-rating often comes up in net neutrality conversations (see sidebar) and there is still a clear regulatory grey area that needs addressing. Vodafone India has already said it would wait for clearer guidelines before following the Airtel Zero route. This may be wise: at the time of writing, India's regulators are already leaning towards zero-rating being anti-competitive, a stance somewhat reflected by Canadian regulators and other countries. But the argument for a free and fair internet avoids the other side of the coin. Organisations such as Internet.org and Wikipedia Zero exist to bring others in from the cold. As with the petitioning students at the start of this article, there are many who simply cannot participate in the digital society. Zero-rating is held as an effective way to reach these people, offering them basic free services that may entice actual data spend. 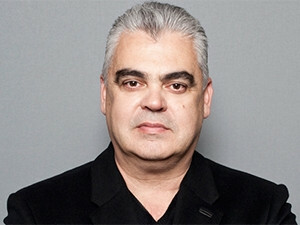 "The trick is not to destroy value for shareholders, but to create long-term value," says Jos'e Dos Santos, Cell C CEO. "How does zero-rating affect me? It generally doesn't - the middle and upper-end customers still get their pictures and video, and pay for data. I still make my money. But I also help millions of people to get access to a platform that is the future of communication." Cell C has been making inroads into the market with an aggressive zero-rated policy. Although its competitors also offer free services, Cell C appears the most eager participant and has near-future plans that involve Facebook. It already offers free access to the messaging service WhatsApp and as a result, claims to have more than a quarter of the country's user base on its network. This play is not surprising, says Eisenach: "Adoption of zero-rating is more common with newcomers than incumbents. It's a competitive tactic, a way to differentiate." It's also an effective way to help people transition into data-using consumers, says Gaba Majola, a GM at MTN: "If a customer follows a (zero-rated) Twitter link to YouTube, we've just unlocked a paying customer. From a cost perspective, to zero-rate YouTube means too much risk. But the amount of data through Twitter is negligible and, instead, opens broader economies." Majola is referring to a growing practice with zero-rating: basic access costs nothing, but premium services will require paid data. This is often the way groups like Internet.org find a balance with carriers: basic text-based access is free, but to access videos or movies will cost. He notes another benefit: customers with free access to Twitter become participants, and to large brands like MTN, social media is becoming irreplaceable when communicating with their user base. But is zero-rating really making a difference? There are some indicators: Wikipedia Zero claims it delivers 65 million free page views every month to 350 million people in 29 countries. But according to Eisenach, the data is still too thin to tell - an opinion shared by attendees at an internet governance forum roundtable. Still, he says: "I think the impact on penetration can only be positive." Zero-rating is still a niche movement. Adoption of the model remains lacklustre - despite voicing great intentions such as social responsibility, networks have been slow to implement. Many might never have done so were it not for the influence of Internet.org, Wikipedia Zero and their peers. Dos Santos, normally quite candid, is careful to explore why Cell C's competitors have not been as prolific in embracing lifestyle-based zero-rating (for example, Vodacom's efforts mainly encompass educational services). But in his personal opinion, it has to do with being used to large profits: "There will always be somebody who asks why they should give anything away for free." Zero-rating is most often used by local operators to make their own sites free for clients. But there are some other examples. Cell C is leading the charge with free access to WhatsApp, as well as plans to offer basic Facebook access. MTN offers Wikipedia and Twitter, and joins Cell C in zero-rating certain educational sites. Vodacom mainly focuses its zero-rating efforts on educational services. Telkom Mobile, when still in its 8ta incarnation, had a brief trial with free Google services but doesn't appear to be fielding any zero-rated initiatives at present. But it's unfair to say they don't get it. MTN is approaching a million daily active Twitter users and has even zero-rated SMS access to the social media platform. It also engages sponsored content models, a sister concept where a third party pays for the bandwidth used. Another tactic is to provision data for a specific service, as MTN does by providing 10GB of free monthly data to users of its new FrontRow video platform. MTN also helped launch online radio station Cliff Central by facilitating free streaming over WeChat clients. "Zero-rating certain elements creates opportunities," says Majola. "There's no risk to pay to try out. As those consumers mature, they try out more services. It's a win-win." He hastens to add that it's a new concept and one that everyone is learning about. This speaks of the wider challenge networks face: how to monetise data services in new ways while keeping a balance with over-the-top (OTT) services such as Facebook. But there is a growing maturity about this: as Dos Santos declares, no network provider has any real hope of taking on services that have hundreds of millions of users. Models such as zero-rating allow for a more amicable relationship, something Eisenach calls 'coopetition' (as coined by the late Novell CEO Ray Noorda). In a way, zero-rating is a mirror to South Africa's data price woes: some talk, a bit of action and quite a lot of apathy. Cell C is certainly finding value in disrupting the incumbents through zero-rating and MTN at the very least talks a good game. But it says something that school students had to petition some of the country's largest companies to free up access to a service like Wikipedia. At present, zero-rating is more of a future hope than a real game-changer.